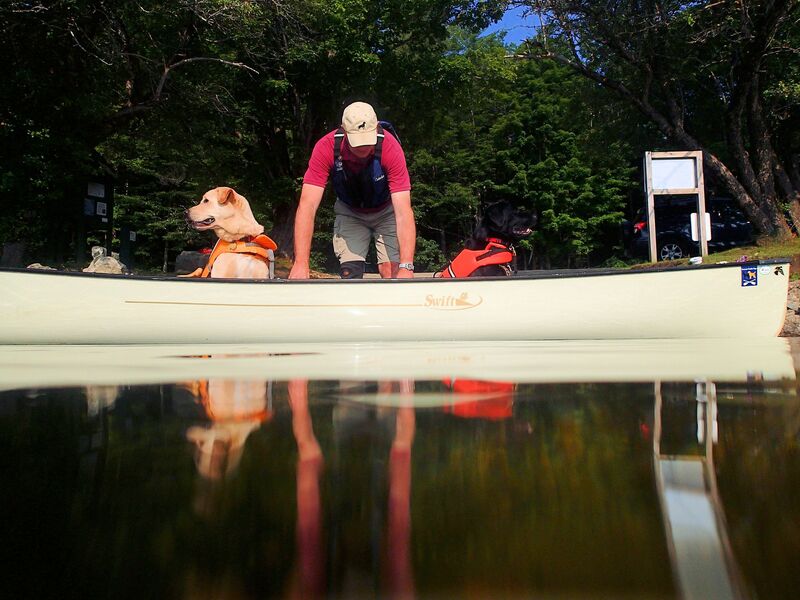 A Relaxing, and Rewarding (Prize Winning) week….. | Vermont Paddle Pups! A Relaxing, and Rewarding (Prize Winning) week…..
Short Post this week, but trying to keep to the weekly schedule! After our adventure trip to Maine, we took it easy on our return weekend and the following week. The usual daily bike rides took place early, before the unpleasant hot and muggy temperatures hit. 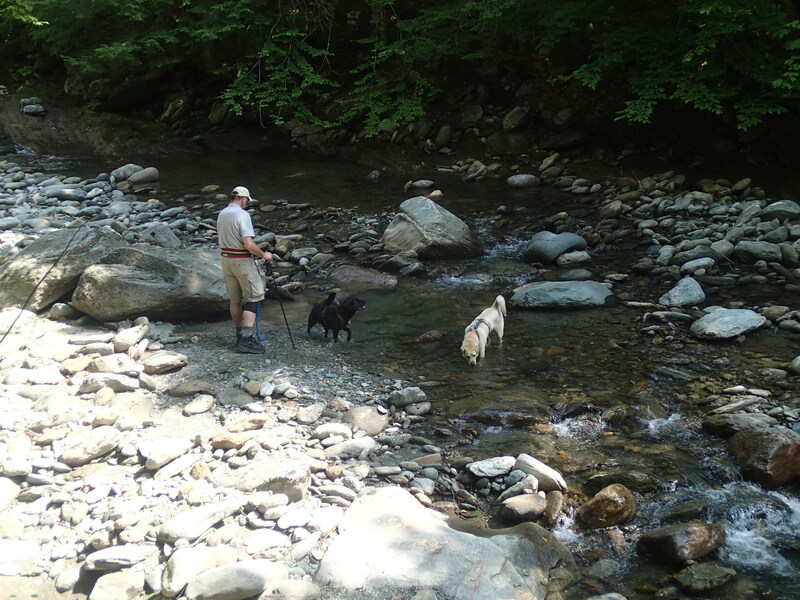 One day, we were able to take the dogs out for a nice 2.5 hour hike, on a trail with lots of water. It also let me return to the site of my nasty fall a week or so earlier…to conquer that tricky river bed! The dogs cavort in the cool water! So, this is the rocky river bed which led to this…..
Nope, changed my mind. No one wants to see a photo of a nasty 6 inch purple bruise! 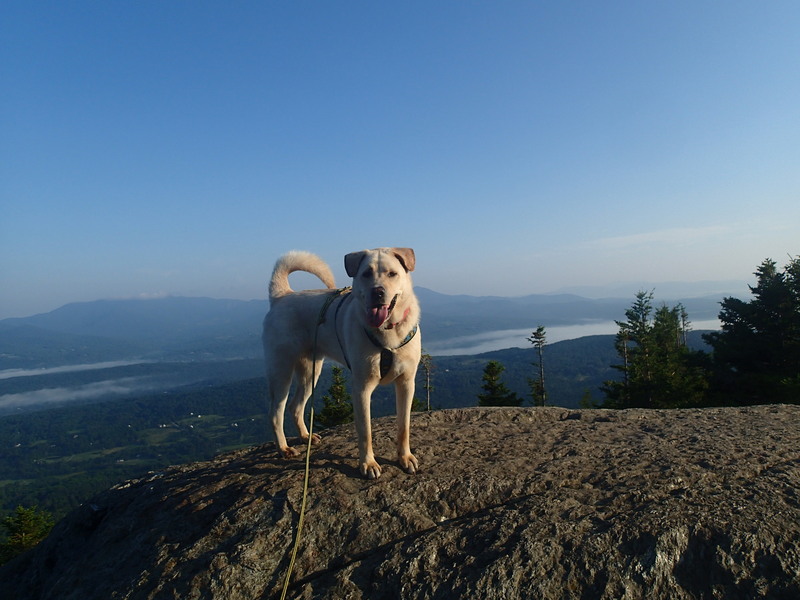 Griff and I headed out one morning at 5:30 am…to hike our backyard peak in the cool of the morning. Well, it was a bit muggy and hot, but we were off the mountain by 8:15, before the oppressive humidity hit. 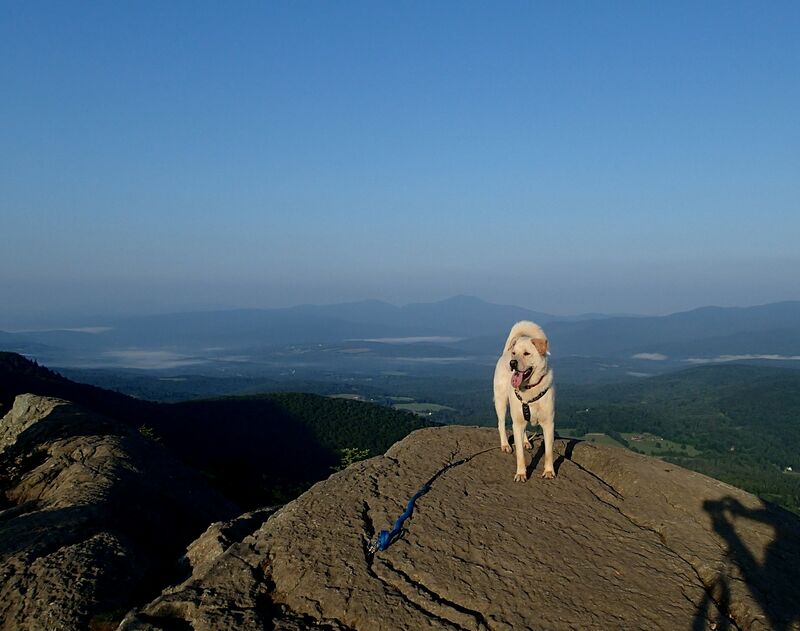 Great views, from a not-so large mountain! The rest of the week’s hikes were on local trail networks…wooded, and a bit more cool than mountaintops. 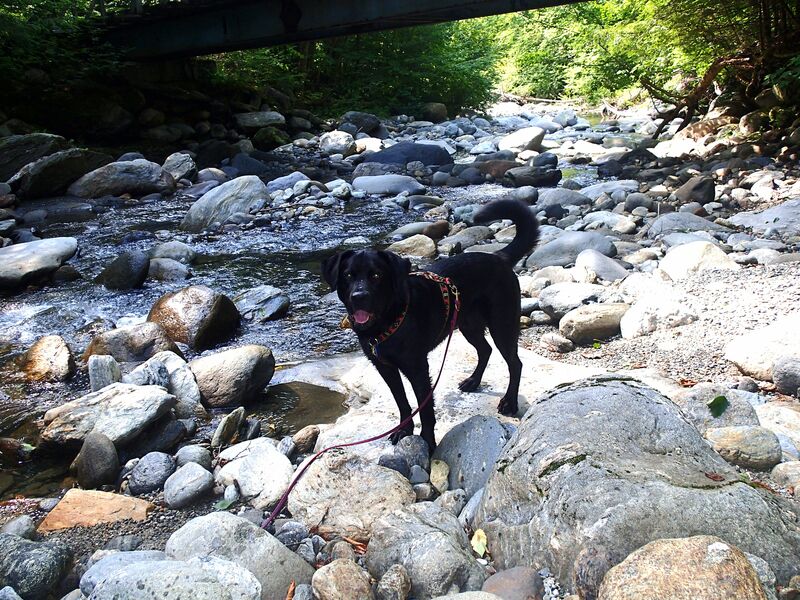 The dogs appreciate getting out in any weather, and we are fortunate to have great trails nearby. 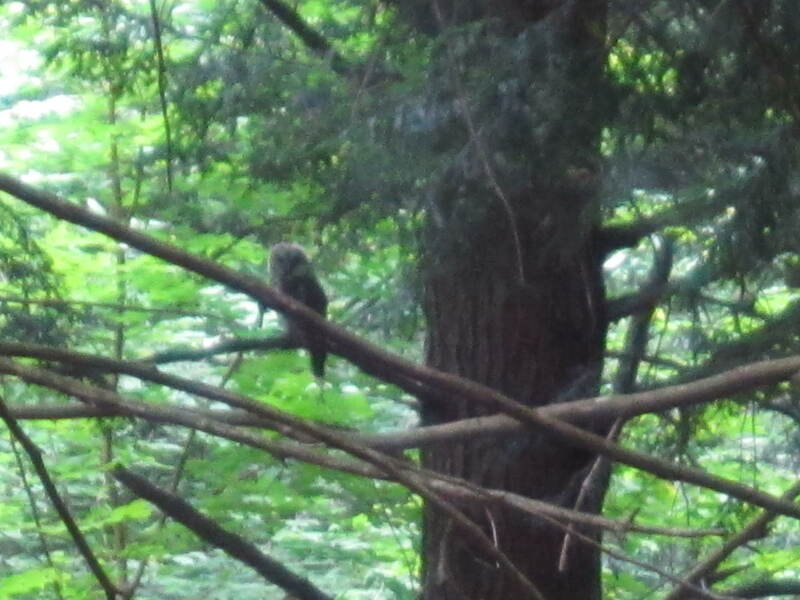 One one of these short hikes, we encountered a barred owl , sitting on a branch doing some late afternoon reconnaissance. I never would have seen it, except for the silent alert by the dogs. 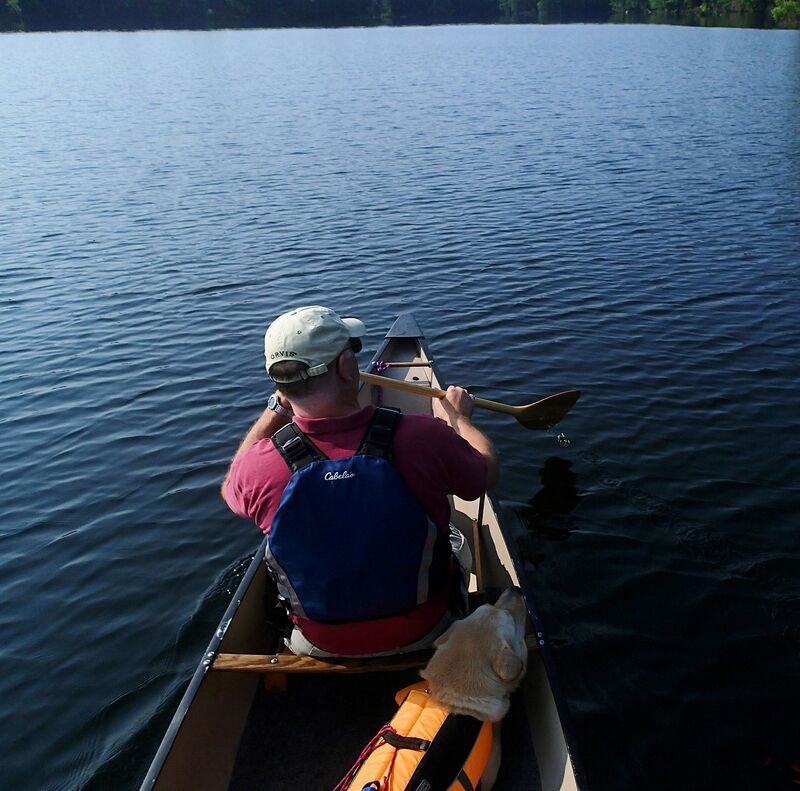 We were able to take a mid-week paddling trip to a 350 acre pond in NH…it is a “quiet” water ( no power boats allowed), has wonderful islands, and many loons and other wildlife that frequent it’s water and shores. It has become a bit “too” popular to paddle on weekends, so we were lucky to get an early start on a Friday. 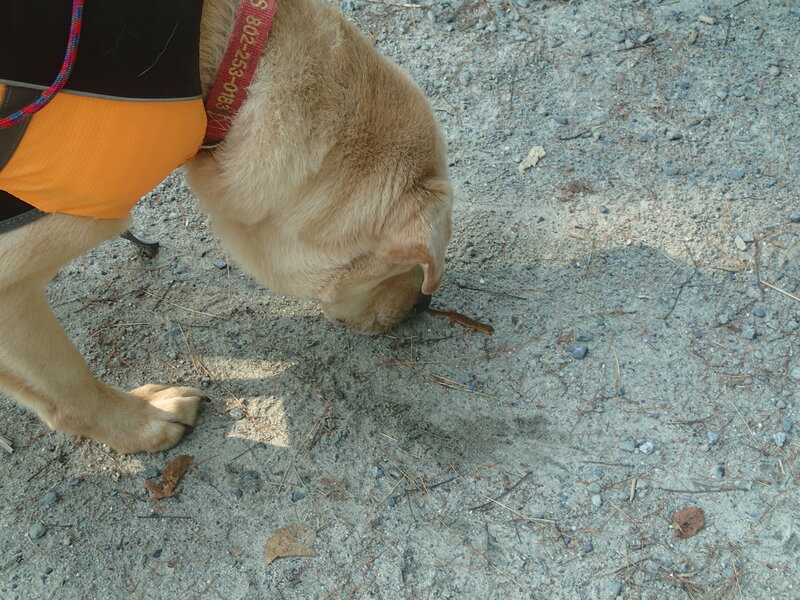 Gryphon was not sure whether to eat the newt, or play with it….he did leave it alone after a quick sniff! Without camping gear in the boat. Griff can sprawl, taking up his fair share of the boat! 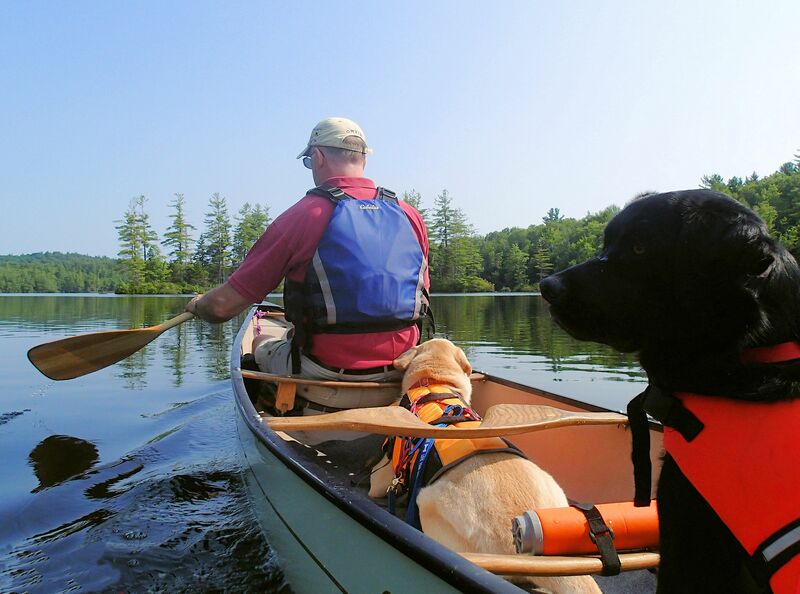 Two dogs in a boat…if not for his orange life-jacket, you could never see Edgar! So the summer progresses, and we try to keep busy. We were fortunate to have a lucky week, that will benefit our outdoor excursions. In two separate contests ( twitter/facebook), we were the lucky winners! A new Osprey day-pack has joined our arsenal, courtesy of the American Hiking Association, and Moosejaw Mountaineering. It also came with a Granite Gear soft dog frisbee, so the pups are happy. And, for my very tall husband, I won a beautiful Big Agnes XXLong sleeping bag, just by entering a comment on the Sierra Trading Post blog! Now we’ll have to head out on another camping trip, to give the new gear a try-out! Here’s hoping for a safe week! 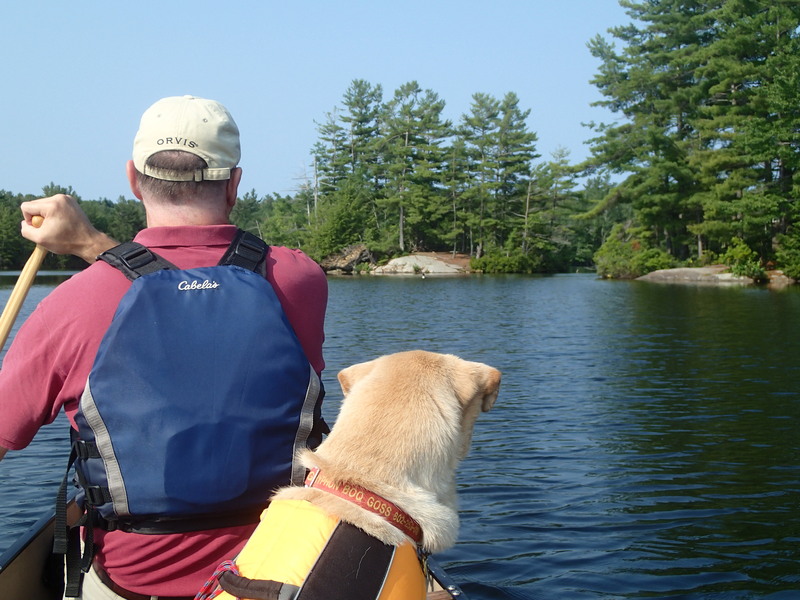 ← Aziscohos or Aziscoos Lake…however you say it, what a great trip!